When people find out what I do for a living it seems only natural for them to eventually ask me what my favorite color is. Over the years I’ve noticed that people’s expectations of my answer fall into two camps. Some of the people asking have a curiosity and lean a bit towards thinking that if a color is my favorite then it somehow must be a special color. Other times it seems that people think that if I reveal my favorite color it is akin to a mother revealing her favorite child. So what color is my favorite? “Favorite for what? My favorite color for my car is different from my favorite for my living room and neither of those are my favorite color for a sweater.” This might seem like I’ve learned to side-step the question when really it is the truth. However, if I’m pressed to name one overall favorite it would be any in the blue-green color family, from the lightest tones of aqua to the deepest, most mysterious teals. It seems that being born on the cusp of Aquarius (the waterbear) and Pisces (the fish) predestined me to have a natural affinity for this watery hue. 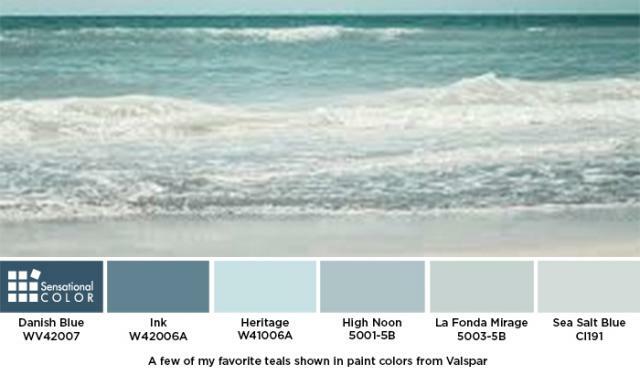 Teal is a color that doesn’t immediately pop to mind for most homeowner’s when they are considering an exterior color but it is one I think works well in so many different regions, styles and with a homes constructed of a variety of materials. Not convinced? 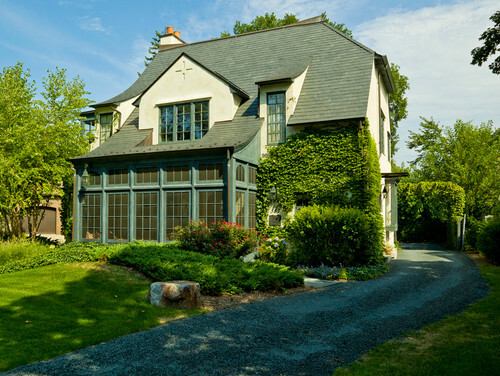 Let me show you some examples that illustrate the five reasons you should consider teal when selecting your exterior color. 1. A shade of teal can play beautifully off of the tones in many patterns of natural stone and slate. 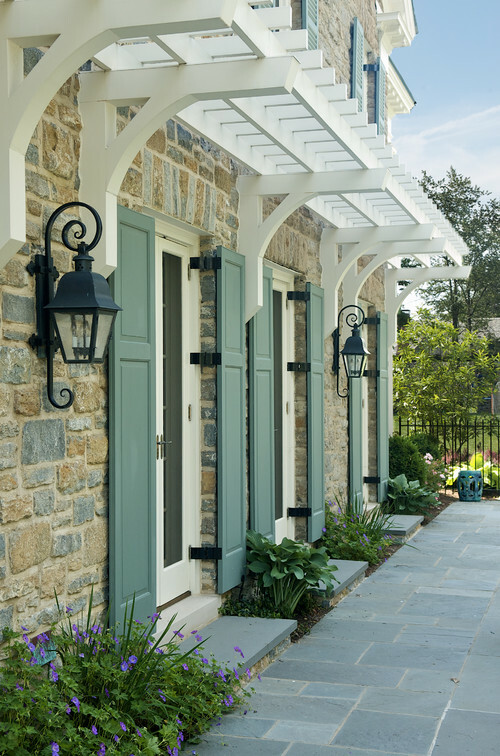 Even if an exterior isn’t all stone, using this color will enhance the stone that accents the home. 2. Teal and most shades of blue-green complement a wide range of neutrals. 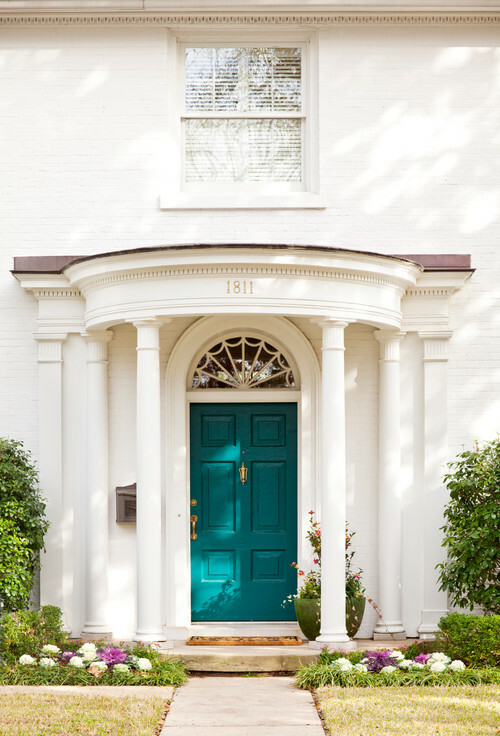 So regardless of whether your home is stucco, stone, natural shake or painted in a neutral, teal might just become your home’s best color friend. 3. Teal doesn’t just love neutrals, it also shares its color love with brick. 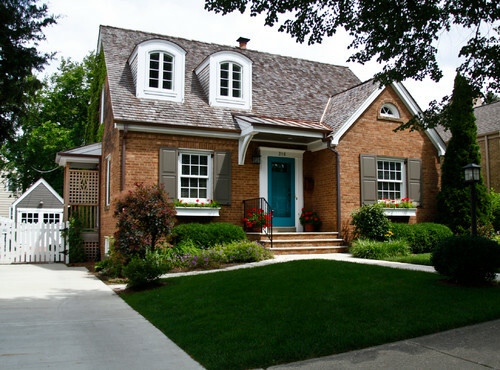 This is an excellent choice to complement brick and on this home redefines red, white and blue. 4. Teal always looks great against white. 5. Even though, as you can see, it works well with so many styles of homes, it is still and sophisticated choice that can give your home a unique personality. This is a color that can work with both warm and cool colors. See how it blends so naturally with the DaVinci colors? Can you see why this versatile color is my favorite and how it might work for your home? I hope so because if you win $5K in the Shake It Up contest it may just be one of the colors I recommend. It is my favorite after all!